The first thing you should know about BeckerTime is that we’re not just looking to make a quick sale. 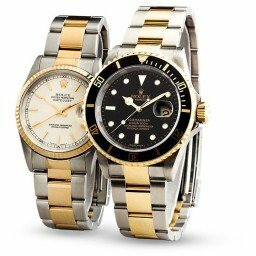 Yes, we’re an ecommerce business and yes, we love selling preowned Rolex watches to discerning customers around the world. However, what’s most important to us is the buying experience our customers have. In fact, we want our BeckerTime customers to not only enjoy the experience of choosing their pre-loved Rolex watches, we want them to have full confidence in their investment now and for many years to come. As a result, we’d like to introduce our exclusive BeckerTime customer benefits that demonstrate our commitment. That’s why BeckerTime has pushed the envelope to innovate on how we take care of our customers. To start, we offer a hassle-free, 30-day return policy. If you’re not completely satisfied with your purchase from BeckerTime, simply ship it back to us within 30 days. We’ll send you a full refund, minus the shipping costs. In addition, we invite you to read more about this risk-free return policy on our website: https://beckertime.com/return-policy/. In addition, BeckerTime offers our exclusive Lifetime TradeUp program. Why? Purchasing your first Rolex can be a very exciting endeavor. However, what happens a few years down the road when you begin to eye a different Rolex and want to upgrade? Whether it’s an upgraded model, a newer model, or just a different style, as a valued customer you can take advantage of our Lifetime TradeUp Guarantee. This is a simple way to make sure you love what’s on your wrist for many years to come. When you decide you would like an upgrade from the original preowned Rolex you purchased from BeckerTime, we will use the full price you paid for your watch towards the purchase of a new BeckerTime preowned Rolex timepiece. To take advantage of this program, keep an eye out for the qualifying BeckerTime preowned Rolex watches. We also invite you to use the BeckerTime Tradeup Calculator. Please give us a call any time at (817) 503-2334 to talk about your specific trade up. We value each and every one of our customers and appreciate your business. If you’ve taken advantage of our Lifetime TradeUp program, let us know on Facebook at www.facebook.com/BeckerTime/. If you are not already a BeckerTime customer, we invite you to view our extensive collection of incredible timepieces here at BeckerTime.